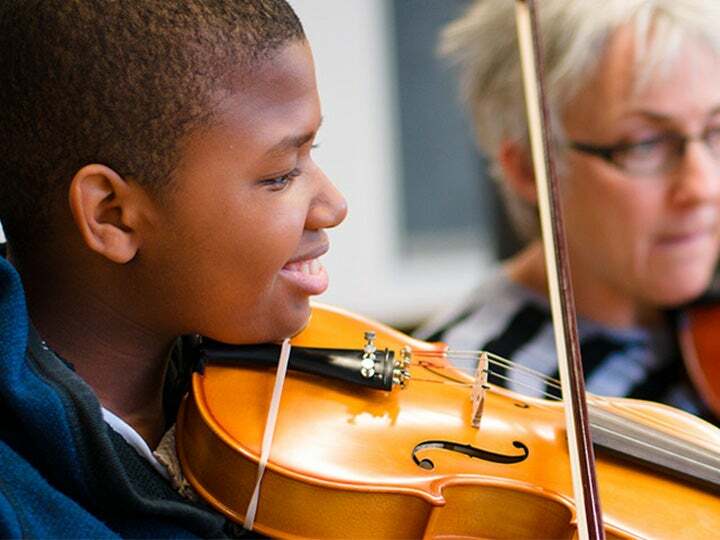 Coached by NJSO musicians, the NJSO Youth Orchestras give qualified middle- and high-school students—especially African-American and Latinx youth in the Greater Newark area—unparalleled opportunities to achieve personal and musical excellence. Age Group: Musicians currently in grades 4–11 are invited to audition. Saturday, April 6 is Bring A Buddy Day at the NJSO Youth Orchestras! Eligible students are welcome to sit in on rehearsal and meet the conductors and coaches. The event runs 9:30-12:30 and will include an audition workshop with a member of the NJSO. Are you among the program’s alumni? Where are you now? Fill out this brief alumni questionnaire to help us keep in touch with you! Music Advancement for Newark-area Youth (MANY) offers programs for beginning and experienced students alike and is designed to provide students in the Newark area with high-quality instrumental music instruction. A group of dedicated professionals lead the NJSO Academy Programs.